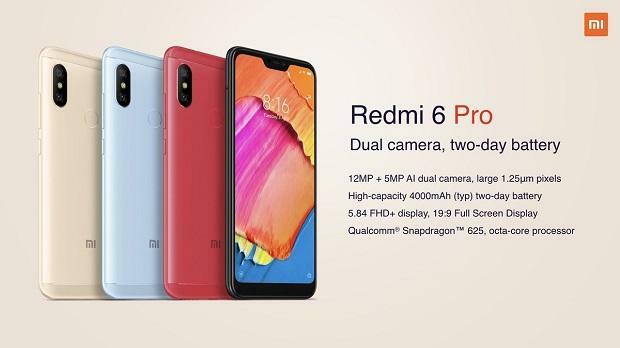 Xiaomi, a Chinese smartphone manufacturer, has launched the Redmi 6, Redmi 6A and Redmi 6 Pro smartphones in India on September 5. 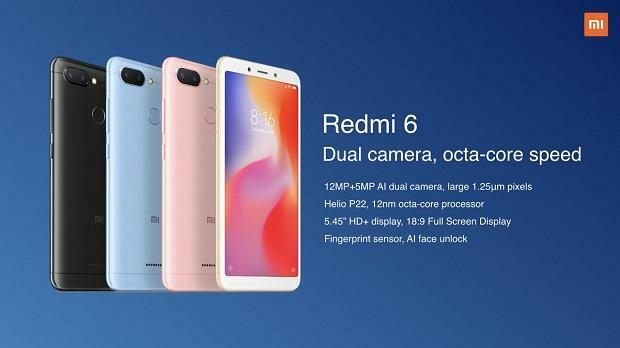 The Redmi 6A and Redmi 6 are budget offering with 18:9 aspect ratio screen. Whereas, the Redmi 6 Pro is a premium budget offering with notch-based screen. It is also the company’s first budget smartphone in India with a notch-based screen. 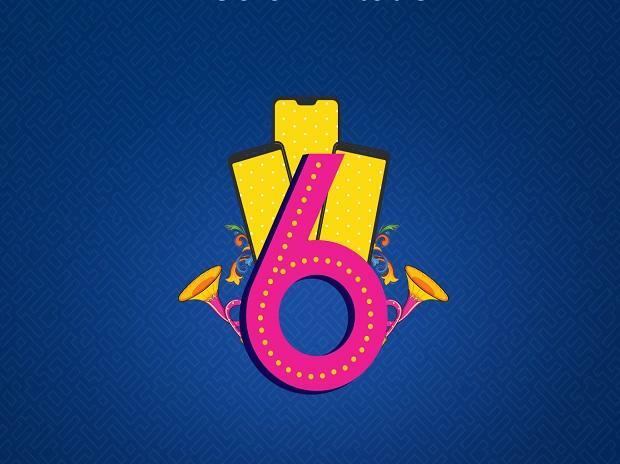 The Redmi 6 is Flipkart-exclusive and it will be available for sale on home-grown e-commerce portal from September 10. On the other hand, the Redmi 6A and Redmi 6 Pro are Amazon-exclusive and they will go on sale from September 19 and September 11, respectively. 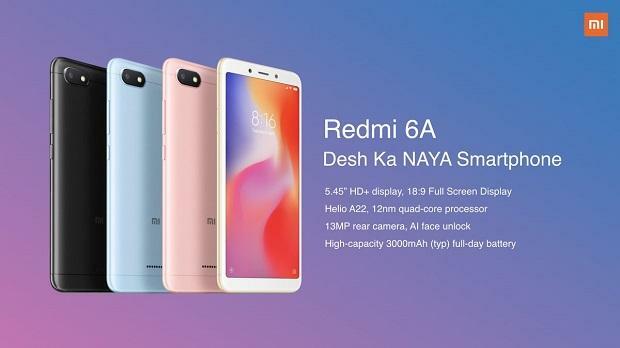 The Redmi 6 sits between the entre-level Redmi 6A and premium Redmi 6 Pro in the Redmi 6-series smartphones. The Redmi 6 sports a 5.45-inch HD+ (1440 x 720) screen stretched in 18:9 aspect ratio. The dualSIM smartphone is powered by MediaTek Helio P22 system-on-chip (SoC). The phone comes in two RAM and storage configurations -- 3GB/32GB and 3GB/64GB. It also features an expandable storage microSD card slot that supports card of up to 256GB capacity. For imaging, it features a dual camera module on the back that supports artificial intelligence-based portrait mode. The dual camera module features a 12MP+5MP lenses. There is a 5MP lens on the front for selfies. Powering the phone is a 3,000 mAh battery. The phone boots Google Android Oreo-based MIUI 9 operating system. The Redmi 6 is priced at Rs 7,999 for the 32GB model and Rs 9,499 for the 64GB configuration. This entry-level smartphone sports a 5.45-inch HD+ (1440 x 720) screen stretched in 18:9 aspect ratio. The dualSIM smartphone is powered by MediaTek Helio A22 system-on-chip (SoC), paired with 2GB of RAM and either 16GB or 32GB of storage options, expandable via microSD slot that supports card of up to 256GB capacity. For imaging, the phone features a 13-megapixel primary camera of f/2.2 aperture size on the back and a 5MP lens on the front for selfies. Powering the phone is a 3,000 mAh battery. The phone boots Google Android Oreo-based MIUI 9 operating system. The Redmi 6A is priced at Rs 5,999 for the 16GB model and Rs 6,999 for the 32GB variant. This premium budget smartphone sports a 5.84-inch fullHD+ screen stretched in 19:9 aspect ratio due to notch on the top. The dualSIM smartphone is powered by Qualcomm Snapdragon 625 SoC. The phone comes in two RAM and storage configurations – 3GB/32GB and 4GB/64GB. It features a dedicated storage expansion slot that supports card of up to 256GB capacity. For imaging, the phone features a 12MP+5MP dual camera module on the back and a 5MP lens on the front for selfies. The rear camera supports AI imaging for bokeh effect and portrait shots. Powering the phone is a 4,000 mAh battery. The phone boots Google Android Oreo-based MIUI 9 operating system.